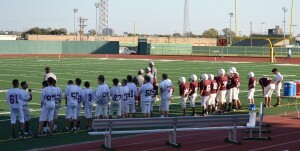 The Driscoll football team played Nimitz middle school. 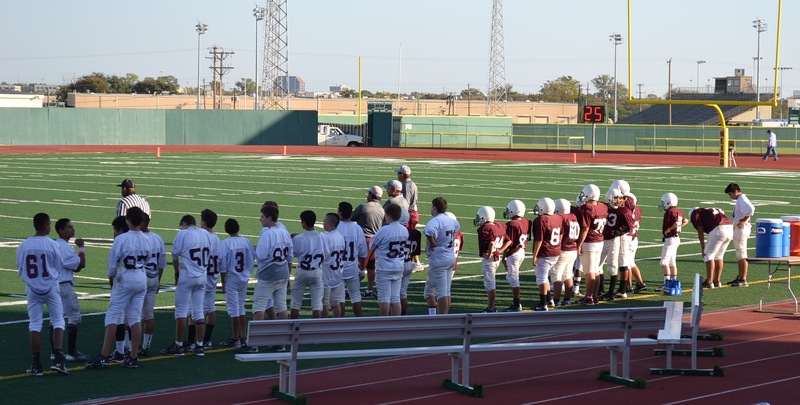 We had to condense both 7th and 8th grade football teams to create 1 team for each grade. 8th grade won 50-14 and 7th grade won 40-6. All teams played great and adjusted smoothly to the enormous change into 1 team. They played great and worked well together to pull out 2 victories. Next week we are facing Jackson Middle school for our last district football game of this season . After that we will face Bradley as a non-conference game to finish out the season. Please support your Driscoll athletes. All games start at 4:30. See you there!